In a new partnership between Magic Leap, the University of Southern California's Institute for Creative Technologies and The Dan Marino Foundation, collaborators have developed a tool using mixed reality that helps young adults with ASD overcome an important obstacle they may face entering into the workforce — in-person job interviews. 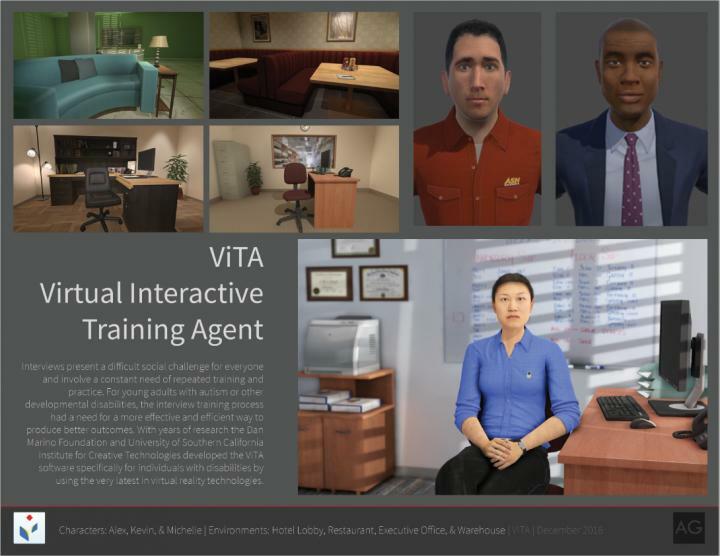 The Virtual Interactive Training Agent (VITA), now in mixed reality on Magic Leap One, is a virtual simulation job interview practice system that builds competence and reduces anxiety. "At Magic Leap, we strive to impact lives and make a difference – that's why we're so excited about this collaboration. We see this as the first step of many in taking action to help empower those individuals with Autism or other developmental disabilities in each step of their journey with valuable life skills. We hope that this technology can help level the playing field and be an enabling tool to improve quality of life and humanity," said Brenda Freeman, Chief Marketing Officer at Magic Leap.